vocals, and a new crew of cats to check out. 10th, and a special live recording @ St. Nick’s Pub on August 24th! 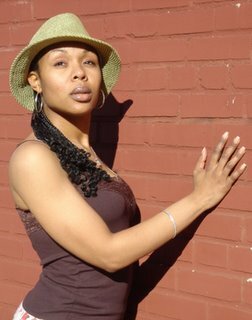 Join Carmen Rodgers Friday, August 4th….Live at Sankofa Arts Kafe’ Featuring Camp Wisdom hosted by Sankofa’s own Geno Young. 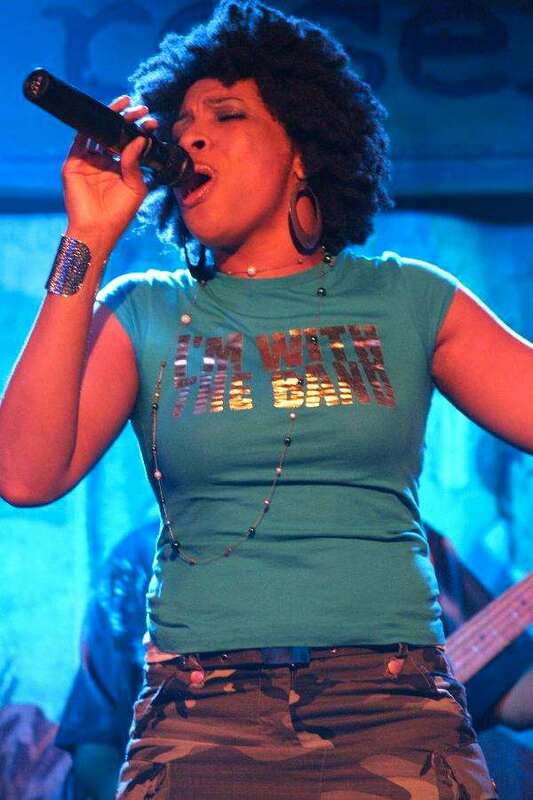 Come hear the sweet soul sound of Carmen Rodgers as she returns to the Sankofa stage with songs from her debut album “Free”, plus hear new songs from her highly-anticipated sophomore record. 1906-08 Martin Luther King Blvd. On 13 July at a star-studded event which featured the likes of Quincy Jones and Michael Caine, Dennis Rollins’ Badbone & Co was awarded the ‘Best Band’ prize by the Radio 2 and 3 BBC Jazz Awards 2006 at the Mermaid Theatre in London. 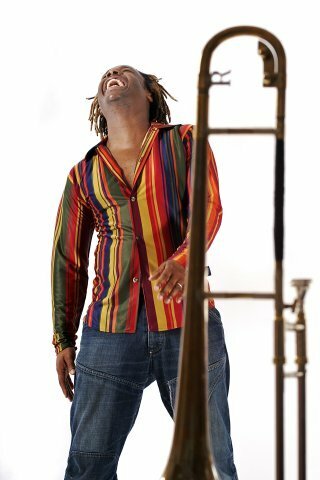 In Birmingham earlier in the week (11 July) Dennis Rollins was the recipient of the Marston’s Pedigree British Jazz Award in the trombone category. Dennis ‘Badbone’ Rollins is known as one of the the hardest working musicians in the UK for his extensive work as a composer, educator and instigator of many innovative projects and collaborations. Dennis’ unique and stylish approach to the often underrated trombone has garnered him acclaim not only nationally but internationally. Since Dennis Rollins’ Badbone & Co performed its first gig at The Barbican in 2000 the band has steadily gained friends and fans for its funky groove-based jazz performed with flair by musicians of the highest calibre. With his excellent musicians, Dennis Rollins’ Badbone & Co performs music that appeals to both dancers and listeners. From the blues to hip hop, funk to soul, the popularity of Badbone & Co just grows and grows. 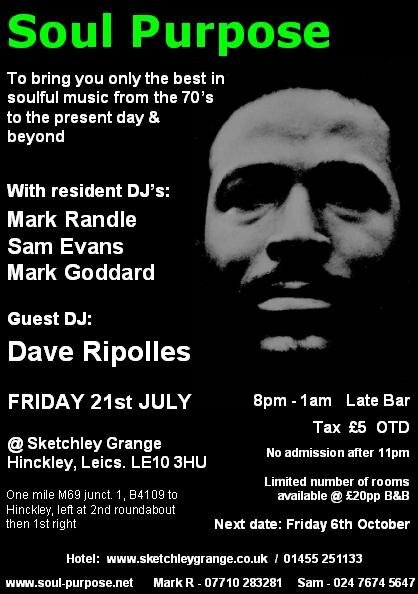 Dennis Rollins continues an extensive UK tour promoting his forthcoming album ‘Big Night Out! – his funkiest to date. For more info and bookings contact Danielle White on 01302 714 202 or email daniraestar@aol.com. For press enquiries contact Helen Maleed on helen@greendesk.demon.co.uk. 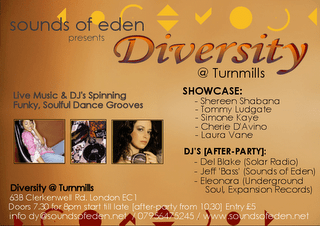 DIVERSITY (Live music showcase & after-party). It’s all happening again on 27th July @ Turnmills! First off, five fantastic acts take to the stage to take us all the way to the edge of the groove and back. And then the after-party. DJ’s Del Blake (Solar Radio), Jeff ‘Bass’ (Sounds of Eden) and Eleonora (Underground Soul) spin some of the hottest, funky, soulful dance classics to an up for it and party crowd. 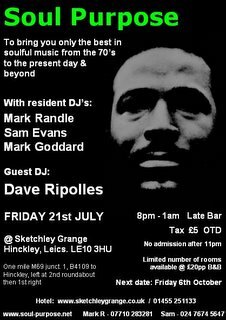 It’s all about upbeat, funky, soulful vibes, are you feeling it….. Doors 7.30pm for 8pm start.